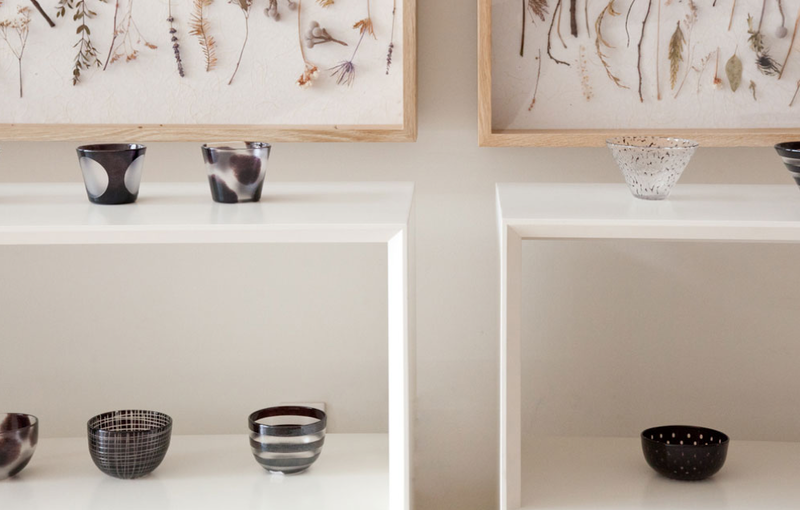 In a world of over-designed goods, Mjolk, (which is Swedish for milk) is a local gallery and lifestyle store operated by husband and wife team John and Juli Baker that features simple design. Located in the Junction neighbourhood the space offers the perfect balance of Japanese and Scandinavian products that reflect the art of living craft. Mjolk recently held first time solo Canadian exhibitions by Kazumi Tsuji and Tomi Takashi, which showcased their modern interpretations of traditional artifacts. 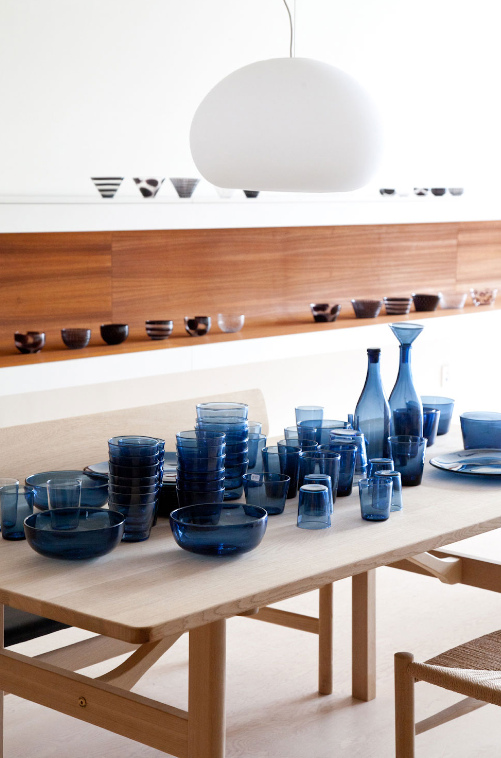 Kazumi Tsuji explores the contemporary aspects of Kiriko glasses. The pieces are created using a Japanese technique of layering paper-thin coloured glass over a clear base, allowing Tsuji to cut patterns into the surface to reveal the contrasting tones underneath. Meanwhile, Tomi Takashi is a Japanese artisan that is taking the thousand-year-old tradition of wood carving into a modern aesthetic. His work ranges in designs from bowls to platters, which exhibit clean forms that are contrasted by the soft tool marks he leaves behind. The impressions tell the story of a crafted, hand-made piece that creates a simple connection and signature within the utensils.